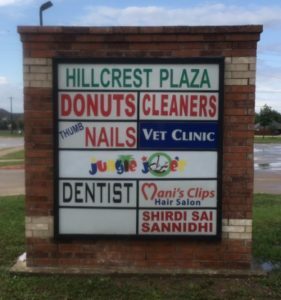 Monument signs are an important way for customers to find businesses. These are the signs that are closest to the street and are usually the first ones seen by passerbys. 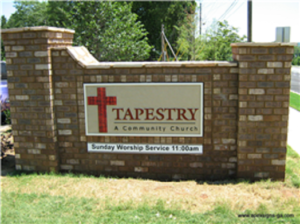 There are so many choices in design and build of monument signs, let us meet with you and understand your unique business needs and craft a custom design for your monument sign. 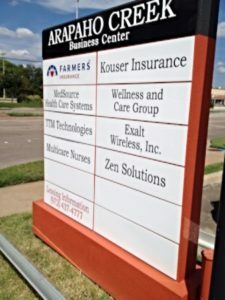 Monument signs are regulated by the city that your business is in. One of the most important considerations for a new monument sign is what is called setback. 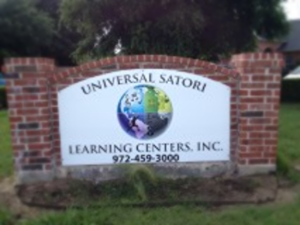 Most cities specify how far back from the curb or the property line that your sign must be. We will need a copy of the survey for your property in order to determine where it is optimal to place your new monument sign. 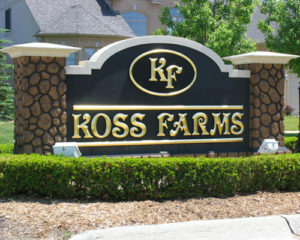 Refacing monument signs is very common and affordable. Your landlord may have requirements on how the signs need to look. 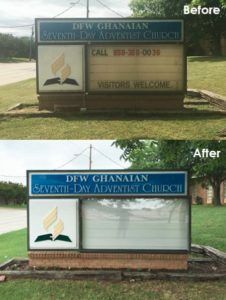 Our sign experts can review these and ensure that your signs comply with any requirements. 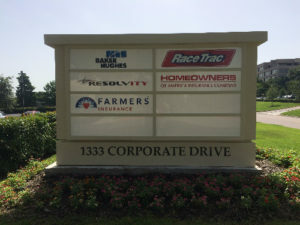 High Value Signs & Studio is a full-service commercial sign company serving Dallas, Fort Worth, Hurst, Irving, Coppell, Lewisville, Grapevine, and Flower Mound and surrounding cities. 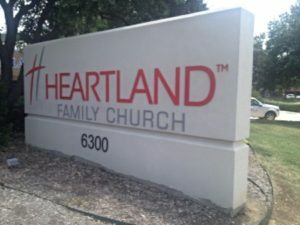 We do outdoor signs, decals, posters, trade show displays and booths, vehicle wraps and graphics, wall and floor graphics, lobby signs, building signs, custom wall coverings, dimensional letters, and much more! We are fully insured, bondable, and licensed (TSCL #18778). We can support your diversity goals as we are a certified woman-owned business enterprise. Some cities have strict requirements for your signage, like this one, which requires all signs in the historic district be hand painted. 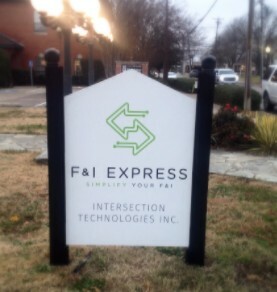 At High Value Signs, we have a talented team that can produce professional signs while maintaining city compliance. Monument Sign Refurb We took a monument size that was made in the 70's and made it look good as new! © http://holalatinosnews.com/tag/lujos/ Fildena 100 mg chewable High Values Signs & Studio 2017. Site developed & maintained by WSI.